Will Peace in Colombia Decrease or Increase Drug Trafficking through Venezuela? On June 23, after three and a half years of negotiations, the Colombian government and the Revolutionary Armed Forces of Colombia (FARC) signed an agreement that will establish a bilateral ceasefire. The two parts are now expected to finalize a peace treaty by late September, hopefully putting an end to 50 years of civil war in Colombia. One of the agreement’s pillars is that the FARC will stop its involvement in the drug trade, and instead support substitution of coca crops. This presumably is good news for Venezuela as its territory has become one of the most important bridges for Colombian cocaine to reach US and European markets. However, ending the FARC’s involvement in the cocaine trade is not the same as ending the cocaine trade. The guerrilla group is far from being the only player in Colombia, let alone in the region. Even if the FARC succeeds in completely abandoning the cocaine market, other criminal bands and cartels may try to replace them. Venezuela and Colombia play two very distinct roles in the South American drug industry. On the one hand, Colombia produces around half of the world’s total cocaine, has over 159,000 hectares of coca bush crops, and has dozens of organizations involved in international drug trafficking. In contrast, Venezuela does not produce or manufacture cocaine: aside from 24 hectares eliminated in 2015 at the border state of Zulia, coca fields are usually on the Colombian side and end at the border. But Venezuela is a crucial transit hub for Colombian drugs going abroad. According to the UNODC 2010 World Drug Report, 51% of drugs seized in the Atlantic were traced back to Venezuelan ports. To put this figure into perspective, only 5% were directly shipped from Colombian ports. Colombian cartels usually use drug mules or motor boats to smuggle small packages of drugs into Venezuela. Once they cross the porous Venezuelan-Colombian border, most drugs are shipped via aircraft or speedboats to the Caribbean islands or Honduras, where they continue their route–by land, air or sea–to their final destination in the United States or Europe. The creation of Plan Colombia in 2000 meant that Colombian drug-trafficking organizations were now confronted by $10 billion of US aid, a significant portion of which went to improve Colombia’s interdiction abilities. More radar coverage made it harder to move the product by air from Colombian territory, while the country’s police and Navy sharply increased the number of tons of cocaine seized each year. To evade these counter-narcotic operations, Colombian groups have been pressured to move their operations into Venezuela. Today, drug analysts suggest that the FARC’s Caribbean, Magdalena Medio, and Eastern fronts are all present in Venezuela, and they play key roles in controlling the transportation of Colombian cocaine across the border. Guerrillas and paramilitary groups, in collusion with organized crime, have been involved in the cocaine industry in Colombia for decades. And these actors have long been present in Venezuela. In 2010 Colombia filed a complaint with the Organization of American States (OAS), claiming that at least 1,500 FARC fighters were being harbored in the Venezuelan border states of Apure and Zulia. While the Venezuelan OAS delegation and President Hugo Chavez repudiated these allegations at the time, the accusations were largely confirmed recently: In 2015 Venezuela’s own Directorate of Military Intelligence (DIM) confirmed that five high-ranking FARC commanders were based in the country’s southern states. Some cocaine corridors are also controlled by BACRIM (short for “bandas criminales”, or criminal gangs), a group of criminal organizations led by former mid-level leaders of the paramilitary group United Self-Defense Forces of Colombia (AUC). BACRIMS such as the Black Eagles, the Rastrojos, and the Urabeños, control key zones along the Colombia-Venezuela border, and have strong presence in the Venezuelan states of Apure, Tachira and Zulia. Some Colombian drug kingpins have transferred their businesses to Venezuela. Daniel “El Loco” Barrera, a notorious Colombian capo, was arrested in the Venezuelan town of San Cristobal in 2012. According to organized crime analysts, it is likely that Barrera operated for many years all his drug trade activities from his hideout in western Venezuela. Similar recent arrests of Colombian narcos in Venezuela include the founder of the Rastrojo BACRIM Diego Perez Henao, the prominent Medellin drug trafficker Maximiliano “Valenciano” Bonilla Orozco. Wilber “Jabon” Varela, one of the top leaders from the Norte del Valle Cartel, was killed in the Venezuelan city of Merida in 2008. In addition to Colombian narco-organizations, the DEA claims that there is also a considerable level of involvement from Venezuelan authorities in the cocaine industry. While many of them are low-ranking security units stationed at border points, U.S. intelligence has also zeroed in on some high-ranking officials. Accusations against these top figures often link them to the so-called “Cartel of the Suns”, a network reportedly composed of Venezuelan security forces that provide drug-traffickers with access to major ports. Last month, two nephews of the Venezuelan First Lady Cilia Flores confessed of conspiring to smuggle FARC cocaine to the United States, spurring speculation that the ‘narco nephews’ were part of the Cartel of the Suns. Similarly, the new Interior Minister Nestor Reverol has also been linked with the Cartel, and faces drug-trafficking charges in the United States. Intelligence obtained from FARC Commander Raul Reyes’ laptop indicates that the Colombian guerrillas had strong commercial connections with high-ranking Venezuelan officials, and that logically they bring their drug trafficking with them. Thus, the process of dismantling the FARC’s coca industry in Colombia may also meet resistance from corrupt Venezuelan security forces. 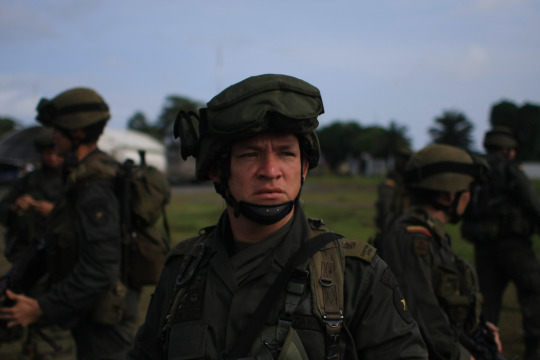 Will FARC Demobilization Increase or Decrease Drug Trafficking? The demobilization of the FARC will have a substantial impact on drug trafficking through Venezuela. After all, the peace plan entails the disbanding of all FARC units, including those present in Venezuelan territory. However, it is also possible that the FARC are not able to completely withdraw from this illegal economy. Insight Crime Director Jeremy McDermott recently warned optimists of a potential “FACRIM scenario,” where autonomous fronts of the FARC may decide to “stay put in the jungle, having forged their own relationships with mafia and cartels, completely able to oversee the growth, manufacture, and shipment of cocaine”. If this happens, it could lead to a surge in violence not only in Colombia, but also in the wider South American region. In a recent interview to Colombian historian Luis Jorge Garay, he estimated that a worst-case scenario would involve about 30% of the FARC guerrillas refusing to demobilize. It is important to remember that the cocaine market is an extremely profitable one. Estimates of the FARC’s cocaine profits range from US$200 million to US$3.5 billion a year. It is hard to imagine this amount of drug trade will simply cease. Indeed, Luis Jorge Garay stated that, in the absence of the FARC, it is possible that Venezuelan, Mexican or other Colombian organizations will step in to smuggle drugs through Venezuela, and sell them to the highest bidder. Alternatively, the peace agreement might push Venezuelan networks to further develop their own capacities. To add to these challenges, successful FARC demobilization will require close cooperation between Colombian and Venezuelan authorities. Given Venezuela’s current political and economic crisis, it is not clear that the Venezuelan government is in a position that it can effectively contribute.